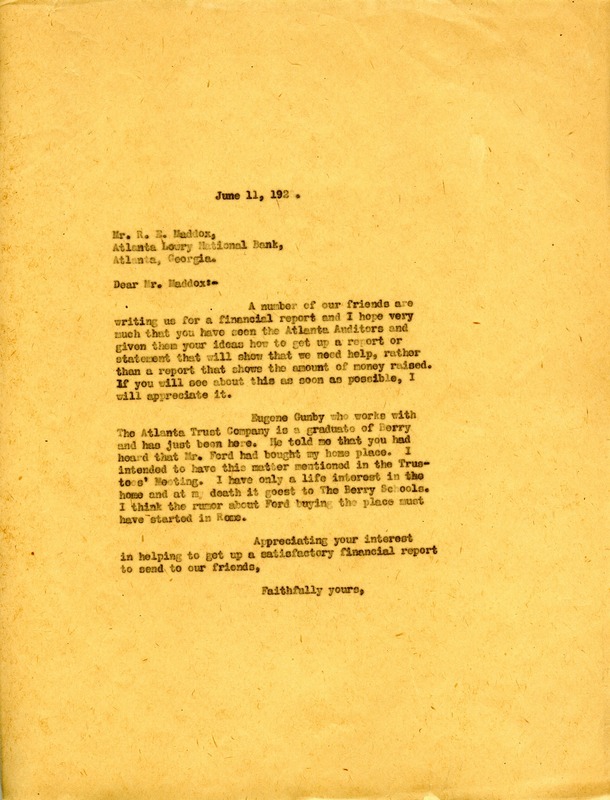 Berry writes to Maddox to clarify for financial statements that Henry Ford has not purchased her home, a rumor she suggests may have been started in Rome. Miss Martha Berry, “Letter to R.E. Maddox from Martha Berry.” Martha Berry Digital Archive. Eds. Schlitz, Stephanie A., Rachel Renaud, et al. Mount Berry: Berry College, 2012. accessed April 20, 2019, https://mbda.berry.edu/items/show/8351.